WAC Lighting Inground submersible landscape light has a fixture wattage of 4.1-Watts and voltage rating from 9 to 15-Volts AC. Round landscape light can accommodate LED lamp that delivers a light output of 170-Lumens with 3000K color temperature and 85 CRI. It emits a beam angle of 25-Degrees. It has an average life of 70000 Hours. 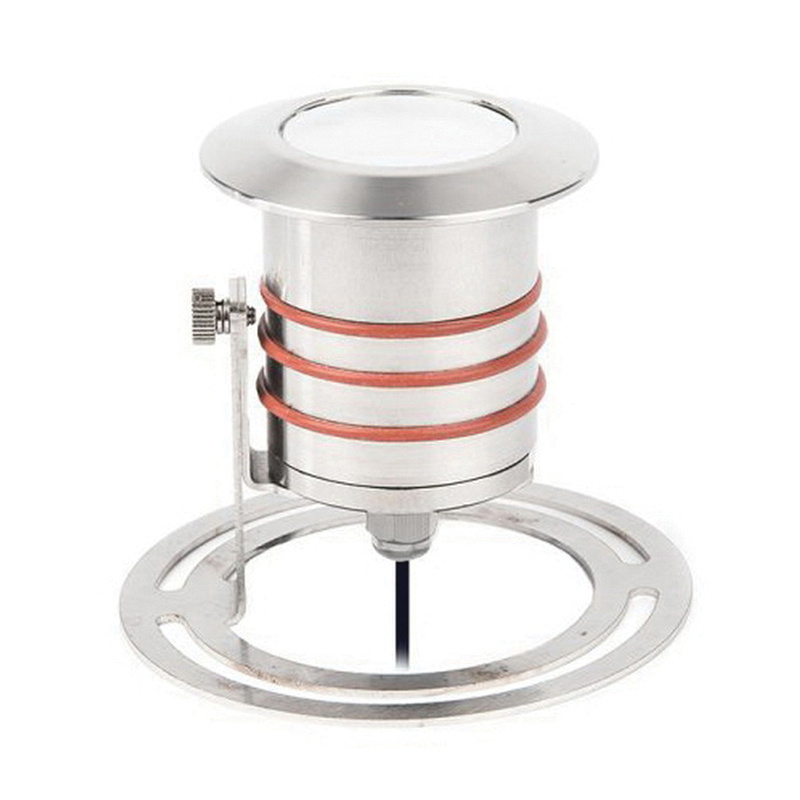 Landscape light has stainless steel for durability. It measures 2-3/4-Inch Dia x 3-1/8-Inch and includes 30-ft lead wire, stainless steel mounting bracket. It is suitable for continuous immersion under water. 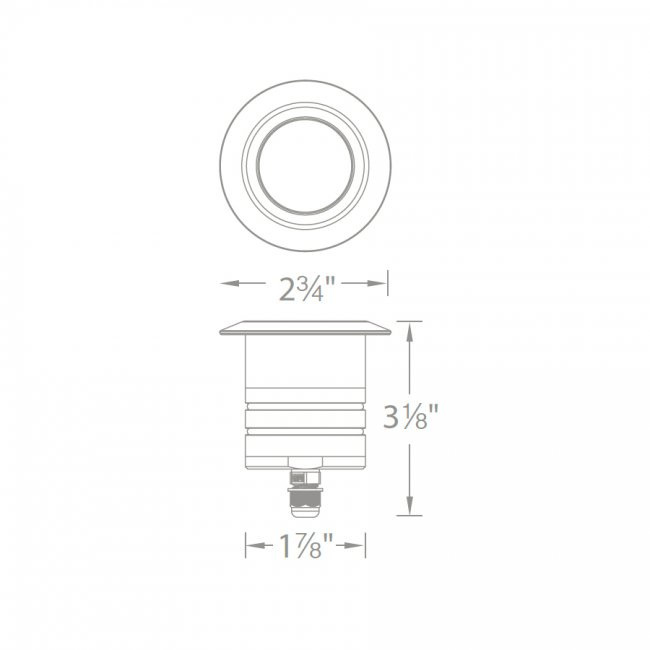 IP68 rated landscape light is UL 1838 listed.